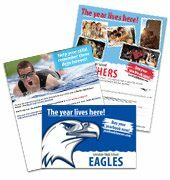 Yearbook advisers new to the job - you can find everything you need to get that first year off to the right start, all in one convenient spot. 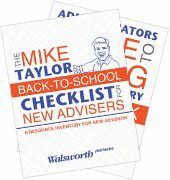 Walsworth Yearbooks is the place for new yearbook advisers. Making your job easier is our priority. That’s why we created this page, specifically for new advisers. 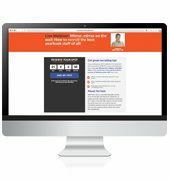 You can find links to our helpful resources – eBooks, webinars, marketing materials and much more – all in one spot. Get great tips from the best yearbook advisers around in our new free eBooks. The New Advisers Field Guide to Yearbook helps you learn what you need for that first year. 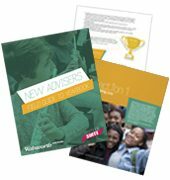 Our Adviser Mentor Program gives new advisers the chance to get valuable help from experienced peers. 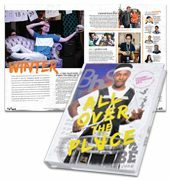 Find everything from how to get started to tips on distribution at our exclusive help site, yearbookhelp.com. Learn all the ways Walsworth Yearbooks helps you improve the sales and marketing of your book. Check out one of our monthly webinars on a timely topic, taught by yearbook experts. 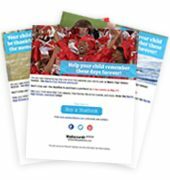 Remind parents to buy the yearbook by using our Parent Email Program (PEP). Brainstorm for ideas on covers, themes and more in the Design Showcase galleries and Idea File magazine.